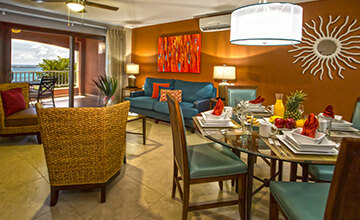 The Deluxe Studio Plus has been recently renewed sleeping up to 4 guests with views of Simpson Bay, pools, gardens or the resort. It features a king size bed and a queen Murphy bed, ceiling fans and air-conditioning in the bedroom. Living area and one private bathroom with walk-in shower with a rainfall showerhead, as well a makeup/shaving mirror. 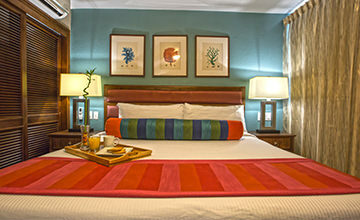 Complimentary wireless Internet access keeps you connected, and satellite TV offers free movies. Dining area with fully equipped kitchen. Sleeping up to 4 guests.